Light pollution has long troubled astronomers, who generally shy away from deep sky observing under full Moon skies. The natural light from a bright Moon floods the sky and hides views of the Milky Way, dim galaxies and nebula, and shooting stars. In recent years human-made light pollution has dramatically surpassed the interference of even a bright full Moon, and its effects are now noticeable to a great many people outside of the astronomical community. Harsh, bright white LED streetlights, while often more efficient and long-lasting, often creates unexcted problems for communities replacing their old street lamps. Increased glare and light trespass, less restful sleep, and disturbed nocturnal wildlife patterns are some notable concerns. There is increasing awareness of just how much light is too much light at night. You don't need to give in to despair over encroaching light pollution; you can join efforts to measure it, educate others, and even help stop or reduce the effects of light pollution in your community. 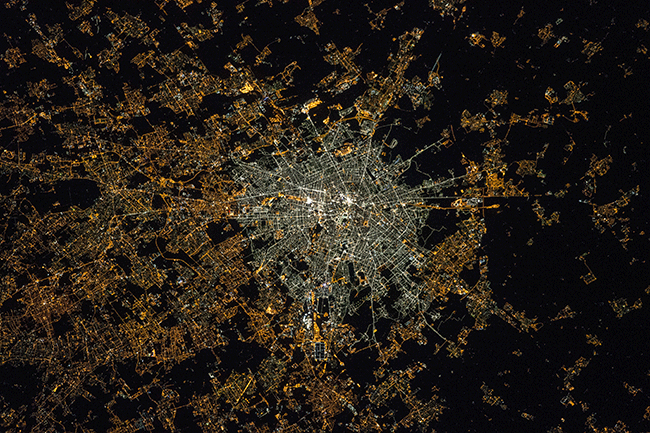 Amateur astronomers and potential citizen scientists around the globe are invited to participate in the Globe at Night (GaN) program to measure light pollution. Measurements are taken by volunteers on a few scheduled days every month and submitted to their database to help create a comprehensive map of light pollution and its change over time. GaN volunteers can take and submit measurements using multiple methods ranging from low-tech naked-eye observations to high-tech sensors and smartphone apps. A dedicated light pollution measurement device called a Sky Quality Meter (SQM). The International Dark-Sky Association (IDA) has long been a champion in the fight against light pollution and a proponent of smart lighting design and policy. Their website (at darksky.org) provides many resources for amateur astronomers and other like minded people to help communities understand the negative impacts of light pollution and how smart lighting policies can not only help bring the stars back to their night skies but make their streets safer by using smarter lighting with less glare. 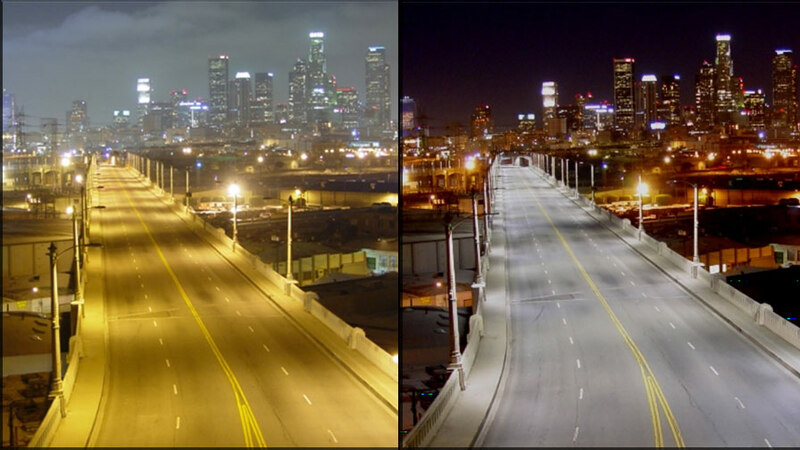 Communities and individuals find that their nighttime lighting choices can help save considerable sums of money when they decide to light their streets and homes "smarter, not brighter" with shielded, directional lighting, motion detectors, timers, and even choosing the proper "temperature" of new LED light replacements to avoid the harsh "pure white" glare that many new streetlamps possess. Their pages on community advocacy and on how to choose dark-sky friendly lighting are extremely helpful and full of great information. There are even local chapters of the IDA in many communities made up of passionate advocates of dark skies. The IDA has notably helped usher in "Dark Sky Places", areas around the world that are protected from light pollution. "Dark Sky Parks", in particular, provide visitors with incredible views of the Milky Way and are perfect places to spot the wonders of a meteor shower. These parks also perform a very important function, showing the public the wonders of a truly dark sky to many people who may have never before even seen a handful of stars in the sky, let alone the full glorious spread of the Milky Way. More research into the negative effects of light pollution on the health of humans and the environment is being conducted than ever before. Watching the night time light slowly increase in your neighborhood combined with reading so much bad news can indeed be disheartening! However, as awareness of light pollution and its negative effects increase, more people are becoming aware of the problem and want to be part of the solution. There is even an episode of PBS Kid's SciGirls where the main characters help mitigate light pollution in their neighborhood! Astronomy clubs are uniquely situated to help spread awareness of good lighting practices in their local communities in order to help mitigate light pollution. Take inspiration from Tucson, Arizona and other dark sky friendly communities that have adopted good lighting practices. Tucson even reduced their skyglow by 7% after their own citywide lighting conversion, proof that communities can bring the stars back with smart lighting choices.